“We are exhausted. The storms seem relentless. The work never ends. How do we continue to bring our best selves to the work we do for more just and equitable communities?” Scholar Rahuldeep Gill’s words capture what so many people are feeling on campuses and communities nationwide. Yet this is not the time to let up on our organizing. 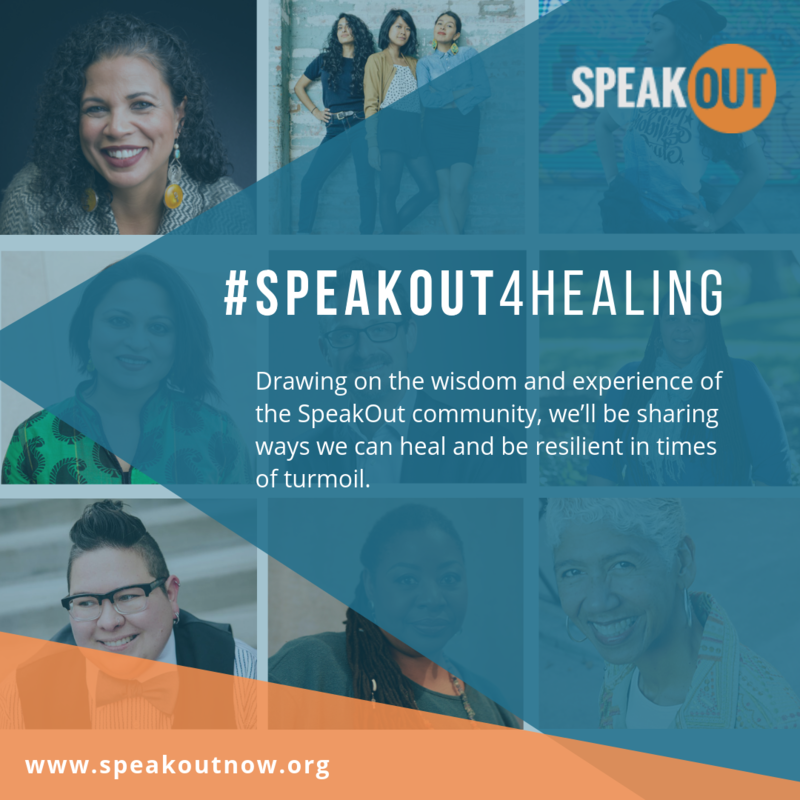 So SpeakOut is launching a campaign - #SpeakOut4Healing - to offer support and wisdom in the face of increasing tensions and conflicts fueled by the current political climate.